We recently have had the opportunity to work with IgnitedSpaces specializing in the “Best Co-Working Spaces in Hollywood.” The views from their office are immaculate, with the ability to see the Hollywood Hills and the Ocean. This is the most elite working environment in all of Hollywood. With quality we can stand behind, it is always a great client experience for us to endeavor in. Why Is IgnitedSpaces The Best? From the very start of the campaign the consistency and professionalism from the staff makes their business strive. They are a pleasure to work with. Any business that is interested in every detail of their campaign on line is going to be successful. Not only online does this business strive, but in office they strive as well. They offer numerous competitive features that stand out when renting office space. Here is a list in detail of what to expect from Ignited spaces. There are many things we do that rely on automation and technology. Having a website is not enough to compete in the only market. As a result we are forced to rely on the quality of the business and the content they provide. To make a business stand out, it has to have something unique and competitive. This makes your business a better choice for a potential customers. This could include, high standard furniture in office or high technology development with staff ready to help with questions. In order to stand out, these are things you absolutely need to show on your website, it makes the difference. No one wants to see the same stock photos, that are not an accurate representation to the business. What does help is client testimonials, videos and other areas where your business really shines to be featured on the different traffic channels your campaign is using. IgnitedSpaces has done this with their outstanding real photo gallery on their website, amazing reviews and reliable content. Check for yourself. The photos are high quality, real images and an accurate representation of their business. It shows you a live view of what to expect before you even get there. With this co-working environment even though the photos are amazing, it is even better in person. Our mission aligns with IgnitedSpaces, to provide the best quality service and customer experience. They look to exceed expectations and offer industry competitive solutions for all co-working needs. From the elegance of their office, to the personable staff, the execution of business from IgnitedSpaces is impeccable. We love working with companies that are easy to produce conversion. When you have real authentic photos that came directly from your office, along with content that is accurate to say the least, any customer who goes to IgnitedSpaces returns. We stand be hind the best quality we can give consumers. We are excited to continue to work with your brand and support your mission. 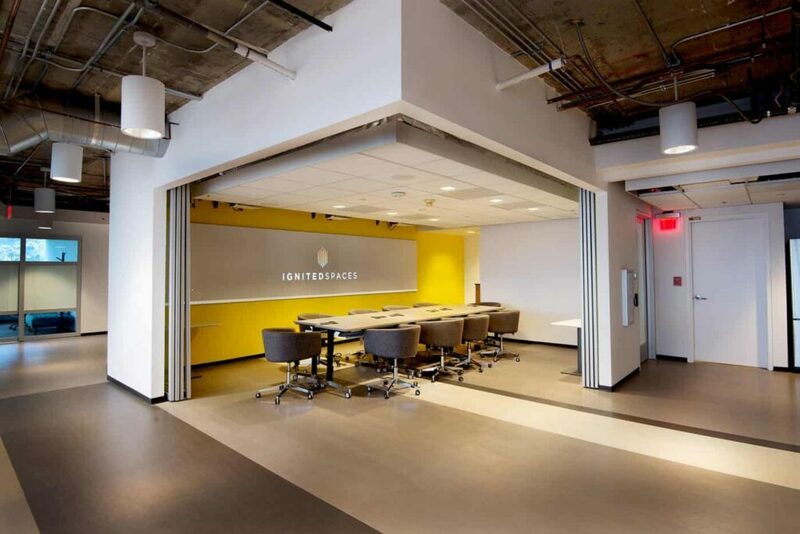 Thank you for giving us the opportunity to share “Co-working” IgnitedSpaces with Hollywood.